Antibiotic development has had its challenges recently; and while the concern of drug-resistant Gram-negative has been vastly described since the past couple of decades, there is a growing light at the end of the tunnel with the recent approval of the broad spectrum antimicrobials between 2015-17. Even more encouraging is the potential regulatory filing and approval of several antimicrobial candidates between 2018 and 2020 of which the majority will target multi-drug resistant organisms, especially Gram-negative rods. A report issued by WHO in September of 2017 identifies a set of carbapenem-resistant organisms as the most critical targets for new drug development . In the midst of growing urgency for novel antibiotics, a team of authors from the US, the UK, and Denmark have taken an unusual approach: they review the bactericidal efficacy of a drug that is neither novel nor a recognized antibiotic. 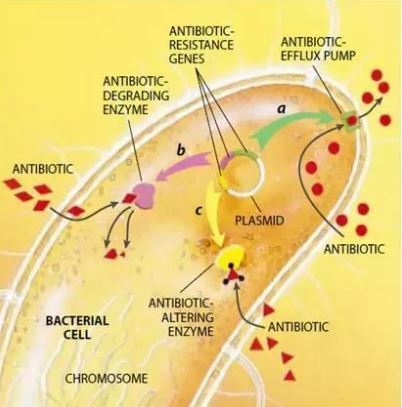 Figure 1: Shows the various mechanisms of resistance that many Gram negative rods have developed over time. 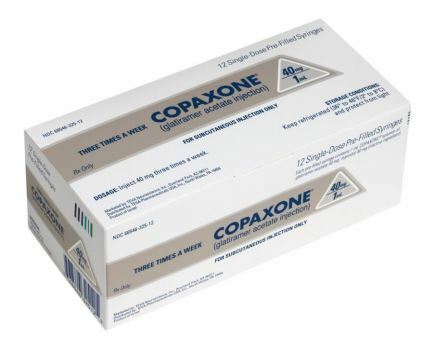 Glatiramer acetate (GA), marketed by Teva Pharmaceuticals as Copaxone, is an immunomodulator intended for the treatment of multiple sclerosis (MS). GA isn’t a drug in the classical sense— rather than a single, well-characterized molecule, GA is a polymerized mixture of random-length peptides composed of the same amino acids as myelin basic protein (MBP). MBP degradation is a primary damage mode of MS, and the hypothesis behind GA’s development was that it would serve as a decoy for the autoimmune attack responsible for the degradation of the myelin sheath. For 20 years, GA has been dosed systemically to MS patients. It is FDA-approved to reduce relapse frequency in MS patients and is commonly prescribed even after the first MS episode. GA bears some similarities to other antimicrobial peptides or AMPs. AMPs are expressed by many organisms as part of a defense mechanism, with gramicidin a notable example . The development of AMPs has been explored as an option to combat drug-resistance, but significant development challenges relating to stability, scalability of their manufacture, and especially toxicity have hindered wider research [4, 5]. A particular AMP, known as LL-37, is derived from the human body and has shown some activity against Gram-negative bacteria , but efforts to bring it into the clinic have so far been stymied by the aforementioned toxicity problems . The authors of the recent paper in Scientific Reports aim to show that Glatiramer acetate’s similarity to the AMPs is meaningful and that the immunomodulator is also bactericidal . A broad base of experimental evidence is laid out to support the claim. The authors compared the effect of GA, LL-37, isopropanol, and traditional antibiotics on a cohort of clinically relevant organisms, evaluating the killing efficiency and cellular response of each agent. 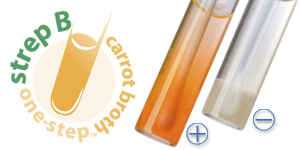 The testing methods in the study run the gamut: an Optical Antimicrobial Susceptibility Testing System, or OASTS, is used to reveal that the minimum inhibitory concentration of GA was 31µg/mL for the Gram-negative E. coli (NCTC 10418); while for the Gram-positive S. aureus (Woods 46), 500 µg/mL was required. Cell cultures incubated with nucleic fluorescent dyes were passed through a flow cytometry assay, revealing that GA was similarly or more effective than its fellow AMP, LL-37, on Gram-negative bacteria. In particular, the killing efficiency of GA against P. aeruginosa (PAO1) reached 80%, comparable to the 92% efficiency of isopropanol. Glatiramer acetate has been used for years against multiple sclerosis. Can it also be used against Gram negative rods? To confirm the flow cytometry assay results, the previously tested organisms along with two clinical strains of A. baumannii (AUH 149 and AUH 351) were plated in order to determine CFU count after exposure to the test agents. Within 30 minutes of introduction, the Gram-negative organisms treated with GA experienced up to a 75% decrease in viable CFUs. As in the previous tests, the Gram-positive S. aureus exhibited a far more muted response. Following this result, 44 clinical strains of P. aeruginosa were tested in parallel, in order to determine how consistently lethal GA is to the bacterium. Fully half of the strains tested were found to be resistant, with the other half split between fast susceptibility (34%) and slow susceptibility (16%). GA’s activity in human serum and plasma is confirmed, and the agent is tested against pre-formed biofilms with encouraging results. Finally, despite the seeming lack of effect on S. aureus, a TEM imaging approach confirms that the Gram-positive bacterium undergoes a stress response in the presence of GA, dispensing cell wall proteins to the environment to act as decoys. The study as a whole offers a cohesive body of evidence for a significant effect on clinically-relevant Gram-negative organisms. The discovery of Glatiramer acetate’s unintended antimicrobial action is potentially of great value in the fight against multi-drug resistant Gram-negative bacteria. Unfortunately, it remains to be seen whether GA will be explored further. The drug’s patent has already been at the center of a landmark Supreme Court decision regarding the standard of review to be used in patent cases . Teva Pharmaceuticals is still engaged in legal battle with Sandoz, who have attempted to bring a generic form of GA to market, intended for its standard use in MS relapse control. Doubtless, the revelation that GA has the potential for a second and far more broadly-applied use as an antimicrobial will add new fuel to the litigious fire. The study’s authors are clear that Glatiramer acetate is no silver bullet: the resistance of half of the tested Pseudomonas strains to its uncertain mechanism of action make that starkly apparent. The immunomodulator is proposed as a tool to reduce the necessary dosage of co-administered traditional antibiotics. While this would certainly be welcome in the clinic, the principal lesson from the GA study may be a new approach to drug discovery. Armed only with the drug’s similarities to the troubled AMPs, the authors were able to demonstrate significant efficacy coupled with well-established safety. Glatiramer acetate’s twenty-year renaissance offers tangible hope that a solution to the antibiotic deficit may already exist. While we anticipate GA’s development with great excitement, the pipeline of new antimicrobial agents is certainly promising, fingers crossed, hopefully with a few more compounds to reach approval between now and 2020. Weston Mangin joined the Hardy Diagnostics Research and Development team recently and has been tasked with designing and building advanced automated slide staining equipment. Antibacterial agents in clinical development: an analysis of the antibacterial clinical development pipeline, including tuberculosis. Geneva: World Health Organization; 2017 (WHO/EMP/IAU/2017.11). License: CC BY-NC-SA 3.0 IGO. ← Are bananas, as we know them, becoming extinct?